There are not so many steps to get your best result – install Visual composer Pricing Table WordPress plugin. Of course, first of all, you need to download your future Pricing Table builder plugin file. The next, upload your installation to the directory in WordPress (Admin Panel – Plugins – Add New). Click the button “Install” and wait until it has been completed. After this, you can use your easy Pricing Table plugin (you will find a new menu item “Pricing Table by Supsystic”). After purchasing, you will find your unique link in a personal account of the site. Your task is to download an archive file pricing_table_pro.zip in the directory Plugins. After plugin installation and its activation of your, you need to enter the unique license key (which you have in your personal account). Finish PRO version installation by clicking “Check”. 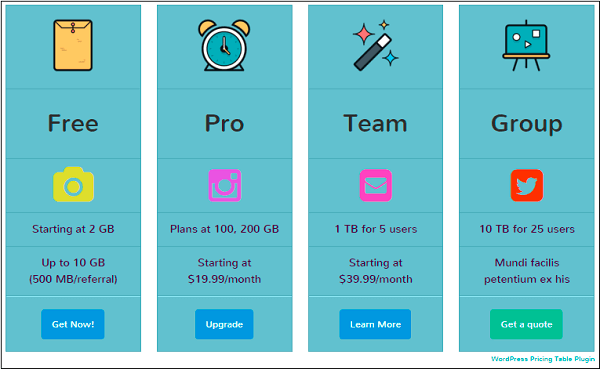 How can the PRO version of Pricing Table by Supsystic help you? There two ways to create new pricing table: with “Add New” Tab or Import from another plugin. 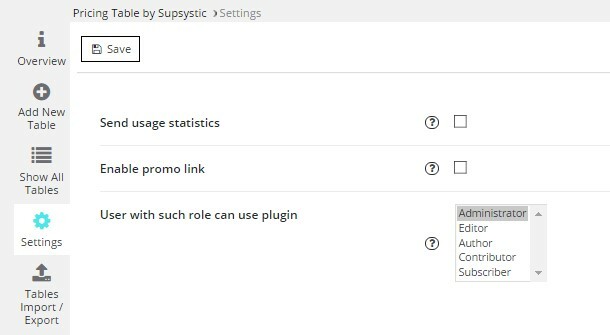 Find and click Pricing Table by Supsystic on your admin panel of WordPress Then, click the insert “Add New Table”, type the name of it, choose the pricing table template and don’t forget to click “Save”. 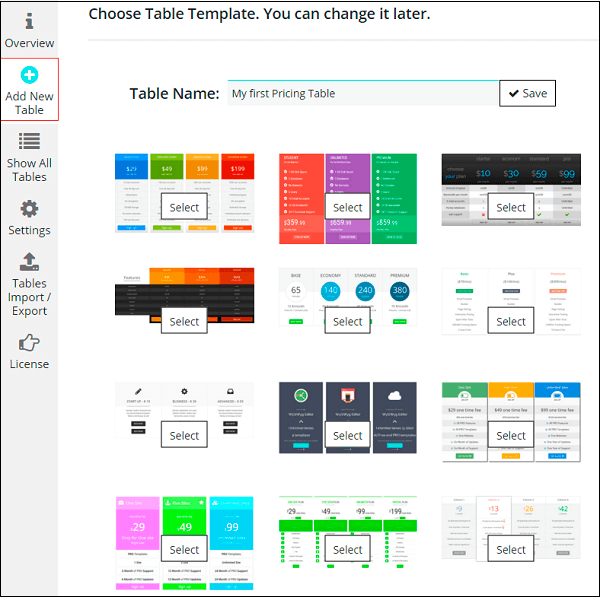 You can use Table Import/Export Tab to add new Table from the other place due to it’s html code. For this open this tab and choose Import to add new table. Paste table’s code into the blank window and click “Import” button. To learn more about it click here. Check more details about Main Settings. As you see on the screenshot below you can Edit CSS of every template and even clone it. This is very useful function for business owners. When you finish, don’t forget to “Save” it! The visual editor of the Pricing Table is available below the main settings table on the preview of your future table. To read additional information about Editors Settings click here. For adding your Table to the page you have two possibilities: Shortcode or PHP Code. You can use PHP code too. In general it can be inserted at any place of the page code in order to display exactly in this place, for example in the header or footer of the page. Besides, it can be inserted in the code of template of the theme in order to display on all pages.